Just joined because the information is very good, and would like to meet others interested in sailing on the Great Lakes or elswhere! Anyone know about the Chicago Sail Boat Show in January 2011? Worth it? I think you are talking about the show called Strictly Sail and it is a really good show. All of the major manufactures will be there. Good to see another fresh water cruiser here. Hi Sharon. I live in K-zoo so we're neighbors, sort of. I've been to the Strictly Sail show twice and it was good. Have you sailed around the Great Lakes? What are your plans? Hello neighbor! So nice to see/hear from another fresh & cold water sailing mate! As far as Stricly Sail Chicago - I have been there every year for the past several years - it is a fun show with lots to see and some of the seminars are good. My only suggestion - avoid the weekend, it is packed....hard to look at boats and hard to chat at the booths. I suggest the Thur-Fri venue......... What be your plans on the Great Lake - do you sail much on Superior? Thanks for the Strictly Sailing tip! 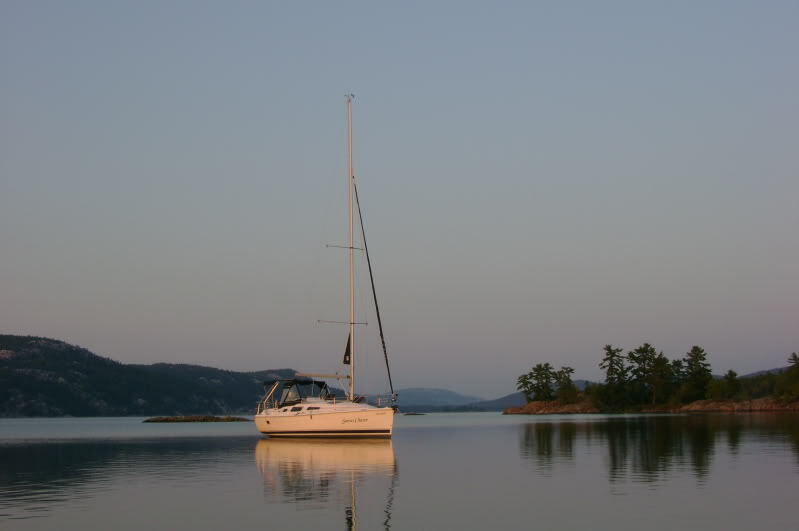 Plan to crew at least once this winter somewhere warm, and get more keel lessons. Plan for Great Lakes mostly Michigan, and maybe Erie and Ontario. What are your plans? Hi Captainstubbie..Sounds like good idea for Stricly Show on Thurs/Fri! Plan to attend then and weekend. Have not sailed Superior yet. Looking forward to sailing them all. Is Superior your favorite? If so, why? We don't have boat shows here so I'd say anything would be good. We are thinking about going to the show as well. After reading the tips on the show, it looks like going during the week will be the plan for us! We are also fresh water sailors, but on lakes a bit smaller than yours. Some of the seminars are pretty good but some are real duds! I learned to sit in the back so I can slip out quietly. Remember that Chicago has a very high sales tax compared to Mi. Crowleys will ship purchases for free and you'll pay NO sales tax! Not sure if other sellers will do the same. G'day, Sharon, welcome aboard. I learned to sail on the Great Lakes and somehow wound up down here in New Zealand. Watch what way the wind takes you!! Say, G'day to my mate Tim at the Catalina both for me when you go to the show in Chicago. He sold me my first boat (2 in fact). Cheers. Great lakes are fun. I sail Lake Erie allot. I am from the Canadian side of things. Great Boat show down in Toronto in January as well. To get a sampling of the GL, you could try chartering a boat from Bay Breeze in Traverse City. They also do ASA classes. Scottb....Your picture is one of the best I've ever seen! Is yours a 'Tall Ship'? Where is North Channel BTW?